My friends! It’s been a while since I last posted. I feel like I say that too frequently in this space but I guess I just have to accept this as a fact and do better. I hope you are all well and enjoying the seasons changing just as much as I am. The sunshine here in Sweden has been incredible although I think we’re missing something and it’s spring. It seems that we’ve gone straight from winter into summer here. Strange times. 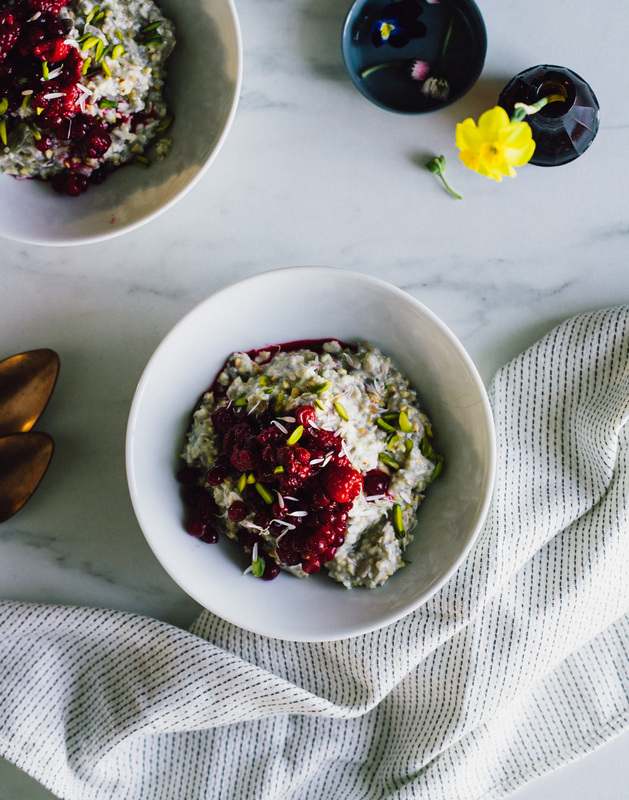 But let’s not get into issues of global warming right this minute and focus on the glorious sunshine and this very seeded bircher muesli instead! 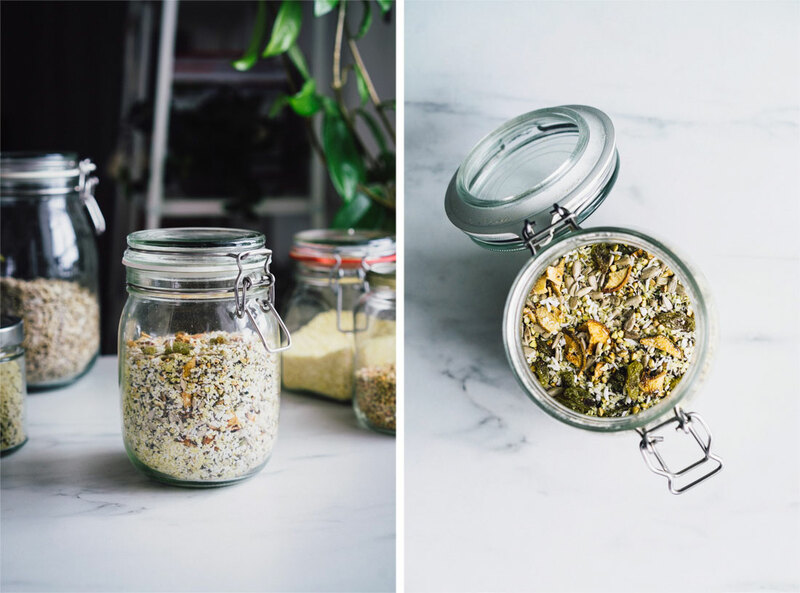 The lovely and popular Loni Jane posted a very seeded muesli mix a while back that inspired this recipe, and she called it Superfood Burcha. I’m obviously not as inventive, neither with the name or in making up the recipe as I more or less just tweaked Loni’s original recipe. 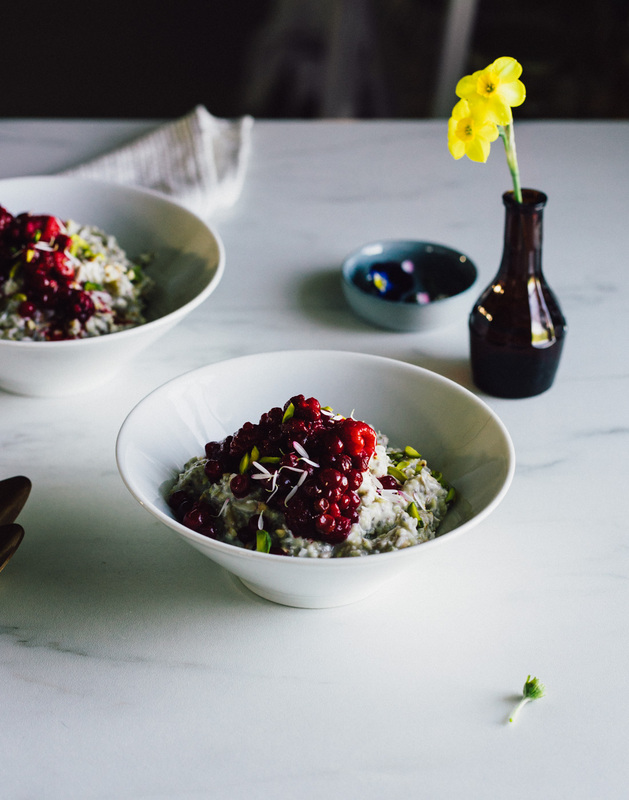 But I thought that I should spread the love and deliciousness that is this bircher muesli and share my adapted version. The bircher mix is full of seeds and even contains whole buckwhet groats. Weird I know! But it works and is really yum. 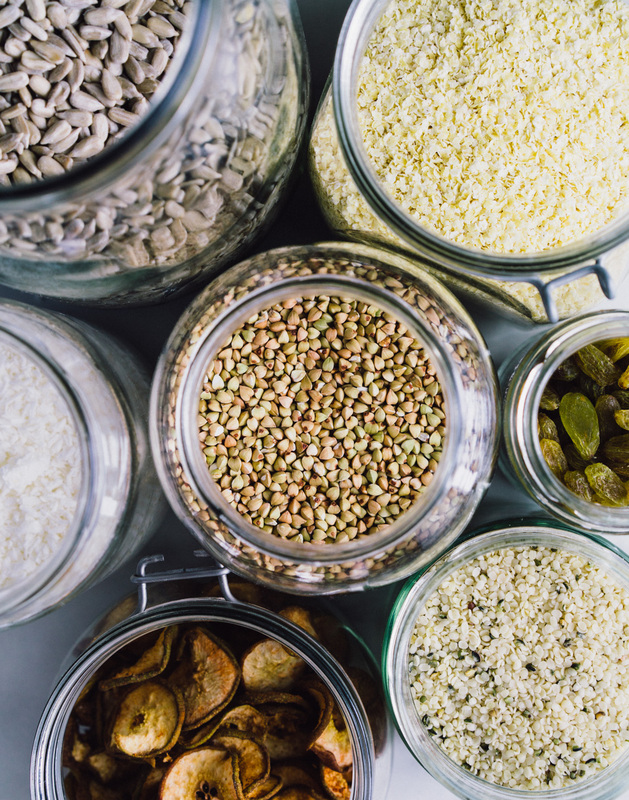 And the fact that you’re soaking the whole mix means your seeds and grains are much more easily digestible and the buckwheat is just quite soft in the morning after soaking and not tough at all as one might think. And to make the whole thing more interesting there’s dried fruit in the mix which is always awesome in soaked mueslis if you ask me. 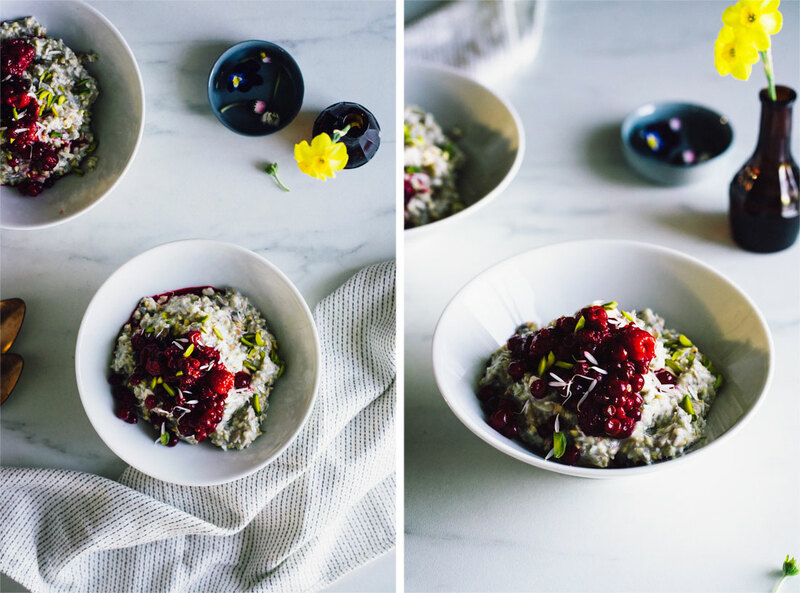 One of the best parts about all this bircher hoopla is really that it can’t really go that wrong and you can mix and match almost as you wish between different seeds, dried fruits and ingredients over all. 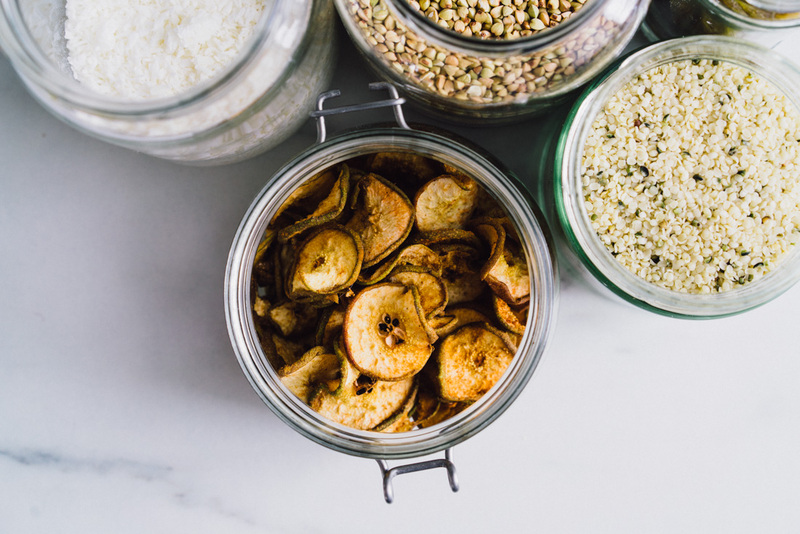 Instead of oats you could use quinoa or millet flakes. You can use any dried fruit you wish or just use none at all if you’re just not that into it. 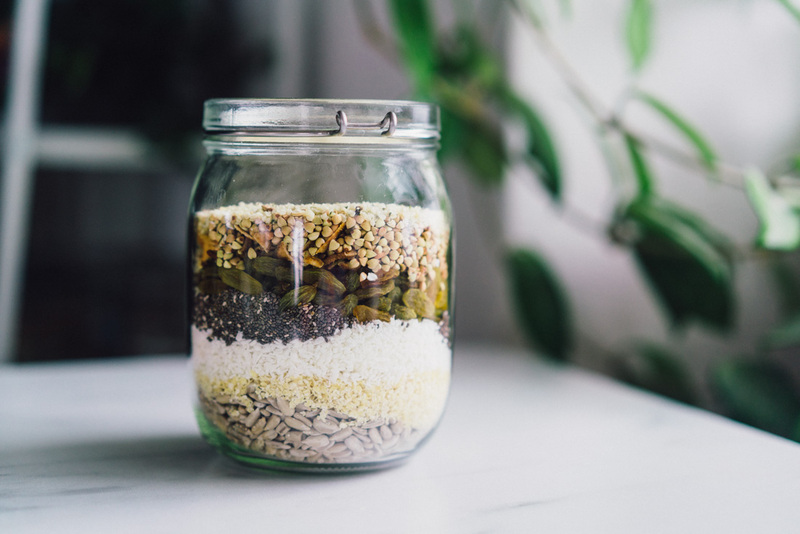 You can swap sunflower seeds for pumpkin seeds and chia seeds for flax seeds. It’s all up to you and your preference and availability really. Just make sure you have some flaked grain in there to soak up that moisture, in my version that’s the oats’ job. 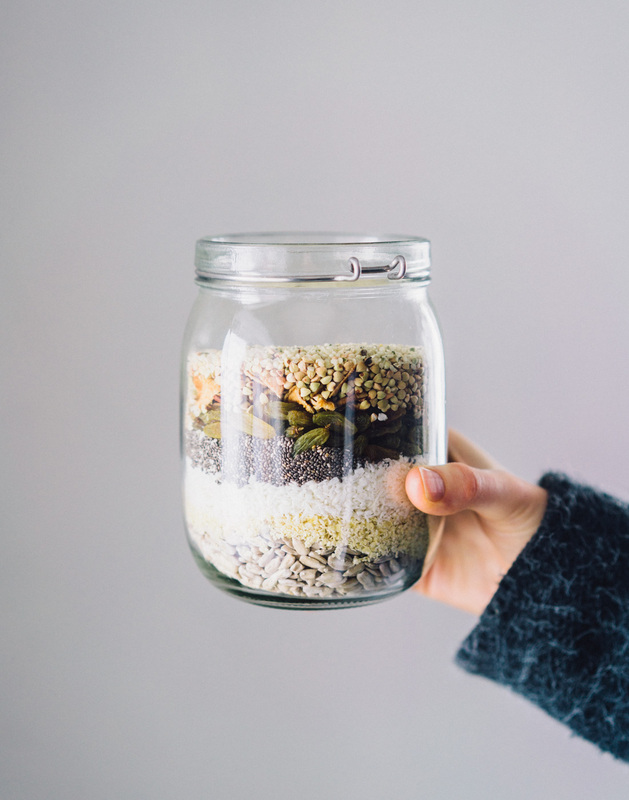 Mix all your dry ingredients in an air tight jar or other container and keep with your dried goods in a cool and preferably dark place. 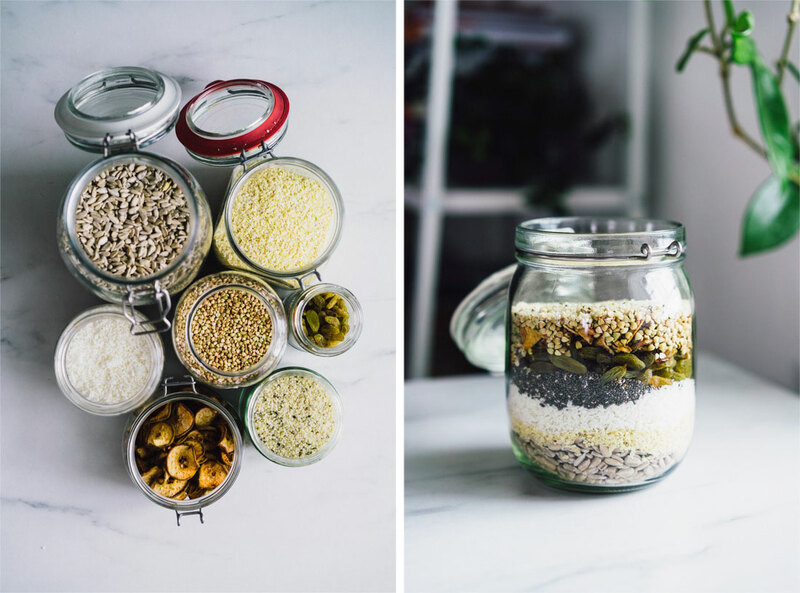 To make your seeded bircher muesli simply place the required amount depending on how many servings you are making in a separate container suitable for refrigerating. If you wish you could add some other flavourings or fruits here, I’ve listed some suggestions below but it is optional but fun for mixing it up. Then add the wet ingredients according to the servings of muesli mix. Mix well and set in the fridge over night. Top with your favourite toppings like fresh fruit, berries, dry granola, chopped nuts or an extra dollop of plant yogurt and serve. Your new post literally made my day! It’s so great to read you! 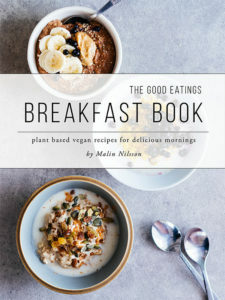 Dear Malin, I´m so happy you came back, I really missed you and your recipes. I love this seedy muesli. Best wishes for you. I’d love to try this recipe out! Could you make a video to show us how to do it step by step?